Two areas that every organization requires to effectively conduct business online is mobile accessibility and tight security. With Procorem, we deliver both. Procorem balances usability and data security to ensure our clients receive the best of both worlds – secure data available anytime, anywhere. In order to achieve the type of security our clients expect, we have implemented multiple levels of control to deliver on this promise. Procorem is also designed in a completely responsive manner which means you can access your data anywhere with an internet connection. In a remote area? Don’t worry, you can work on your information and then upload back to the system when you get back in service. Procorem is available on desktop, iOS, Windows, and Android without the need for downloading separate apps. Procorem is completely mobile and can be accessed from your phone, tablet or computer without the need for downloading separate apps. Procorem files are individually encrypted with unique file naming to prevent any distinction of data for would be hackers. 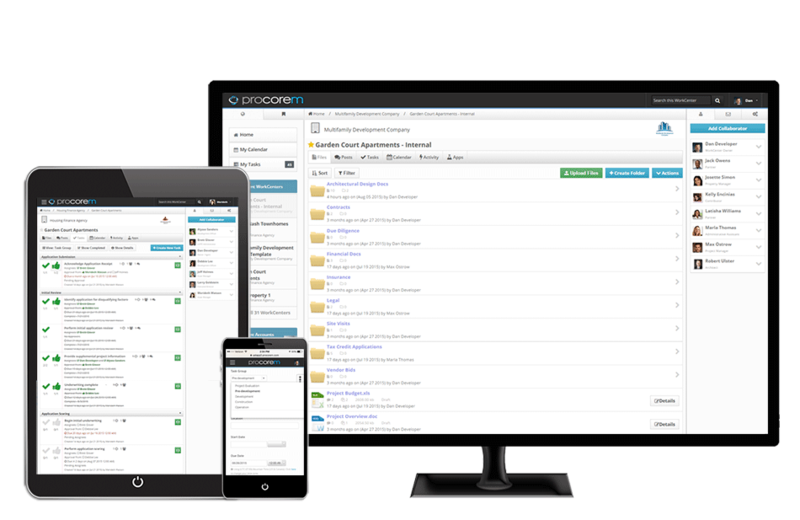 Procorem provides configurable security roles to control what a user can do. WorkCenters provide a core layer of security so you are only sharing information with the right people. SSL Security, Penetration testing, and multi-factor authentication protect Procorem for unauthorized access to your data.